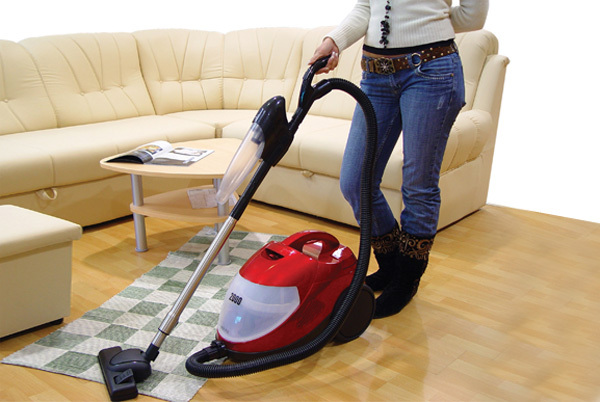 Spring is the perfect time to do some much needed cleaning, and you do not have to limit that cleanup to your home. Chances are your email marketing campaign could use a bit of spring cleaning as well. Taking the time to spruce up your list of contacts and make smart changes to your campaign style now will pay big benefits for the rest of the year. It is all too easy to get hung up on the size of your contact list, especially when you need to manage multiple email marketing campaigns throughout the year. Having a contact list boasting thousands of recipients is certainly impressive, but it does not tell the whole story. Spring is the perfect time to take a hard look at your contact list and reevaluate how you have been cultivating and managing those leads. It is better to have a list of 1,000 eager clients than a list of 10,000 prospects who trash most of the messages they receive from you. If you do not regularly remove invalid email addresses (hard bounces), take the time to do it right now. It’s easier than you think (in SendBlaster, you can do it using the “manage bounce-backs” feature). It is so important to remove all those bounces because both your email reputation and your deliverability will instantly increase. Consider also to verify if there are issues with deliverability to specific domains. You may find out that one or more domains are permanently blocking your emails! If contacts are not opening or clicking your emails, it means they are either uninterested or not receiving your messages. Spend some time to indentify these subscribers but do not remove them immediately. Try to re-engage them, offering targeted content, discounts or incentives. If they keep ignoring your message, finally take them off your email list. Spring is the perfect time also to review and reevaluate your mailing schedule. Sending email marketing messages too often can be counterproductive, but so can sending them too infrequently. Customers who receive messages too often might begin to tune out those sales pitches – those who rarely receive emails from you might start to forget about your company. No matter how often you choose to send your emails, it is a good idea to set a specific date or day of the week and stick to it. Spring is the perfect time to set up that mailing schedule – and the reminders that will make it work. If your response rates have been suffering, the problem could be as simple as the identification of your email. People are extremely cautious about opening emails from people they do not know, due to the large number of threats and scams on the Internet. If your email messages do not clearly identify you as a trusted sender, all those carefully crafted messages could end up in the trash. Be sure to choose a “from” name that conveys your business clearly and concisely, then stick with that name through all of your marketing campaigns. The recipients on your list are much more likely to open a message from a trusted sender than from a business they have never heard of before. The whole purpose of an email marketing campaign is to generate responses, but many senders make it hard for those hard-won prospects to contact their businesses. Be sure that every message you send includes full contact information – not only your email address but a phone number and mailing address as well. Giving your customers multiple ways to contact the company can increase their confidence level and increase your chances of a sale. You also want to make it easy for customers to navigate through your email messages, and the websites they link to. If your message is a long one, be sure to use links and perhaps even a table of contents to make navigating through the message easier. You might want to do some spring cleaning on your websites and blogs as well – by checking for dead links and removing outdated content. The goal should be making every visit to your website a pleasant one for both new and existing customers. Taking a few hours now at the start of spring can set you up for a whole season of success. Spring is the perfect time to review what you are doing well – and what you could be doing better – with your email marketing campaigns.